Sol y Nieve is a bit of an anomaly in the Chicago music scene, which in itself is becoming its own anomaly. However eclectic I've found Chicago music to be, there is still a great deal of separation between styles, with the black metallers only dealing in black metal, indie folkers only dealing in indie folk, noise guys keeping to their small circle...you know, "clique-y." A select few Chicago-based labels (Bloodlust! 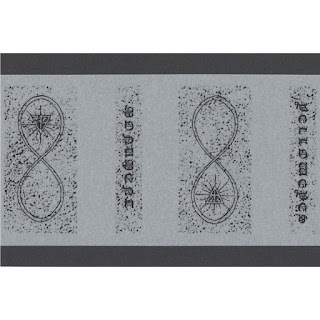 comes to mind) have been breaking the mold, with Noah Coleman's Sol y Nieve quickly gaining clout in the underground, embracing noise, metal, folk, and experimental music without hesitation. In a polarized world, Sol y Nieve is a beacon of hope. It's nice. Today I will be concentrating on two of Sol y Nieve's more metal-oriented releases, featuring Oyarsa's astral/kosmiche doom and an excellent pairing between Connecticut avant-black metal icons Yellow Eyes and the claustrophobic sounds of Monument. This tape has been a long time coming. I've heard about shows, seen shirts around town...the whole shebang, and yet I hadn't actually heard any recorded Oyarsa until just a few weeks ago. The wait? Worth it. Following in the footsteps of Jucifer and The Body, Oyarsa is a "power duo" who completely foregoes the use of bass, instead utilizing powerful guitar tone and thick, bassy percussion. Of course, don't let the previous namedrops be any sort of indication towards Oyarsa's sound, which manifests itself as some of the most terrifying blackened doom metal I've heard this side of Dead Reptile Shrine's slower material. 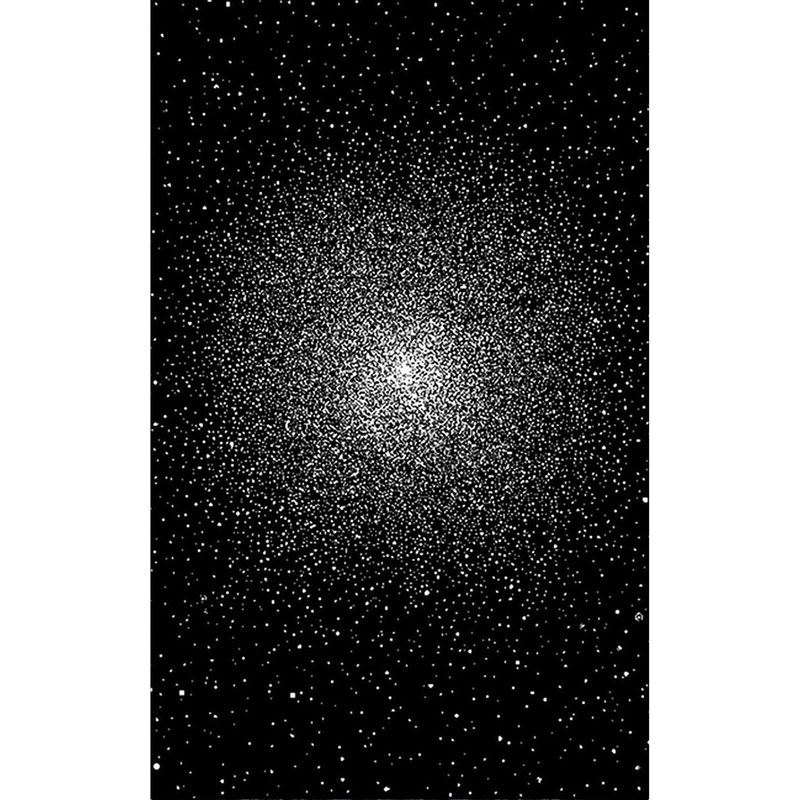 Exemplifying the fear of the unknown, the horrifying awe of deep space's vastness, Oyarsa's engulfing, noisy, but always clear and ever so creepy take on doom metal is refreshing and exciting. Extra points to Coleman for making both the mono and stereo mixes available on this release. 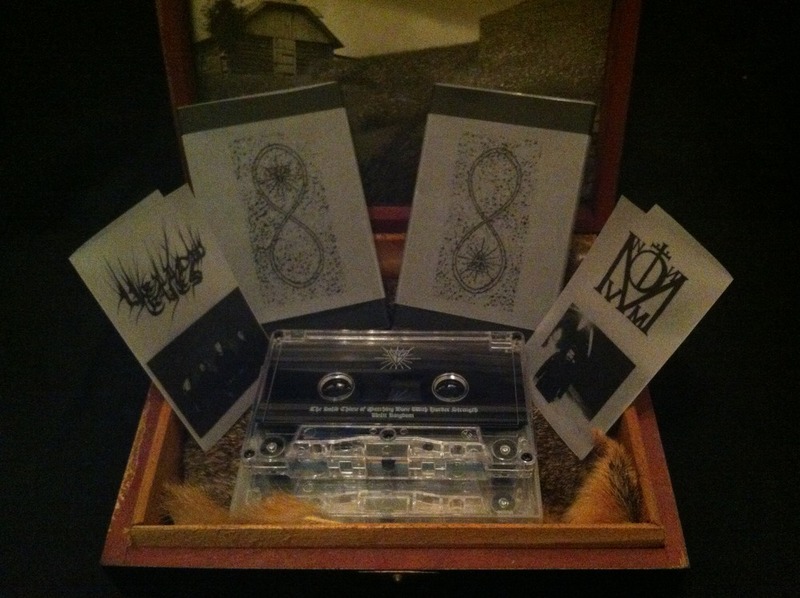 After an excellent physical version of the Silence Threads the Evening's Cloth demo, Yellow Eyes returns to Sol y Nieve, paired with Coleman's enigmatic Monument (though Coleman reportedly prefers it to be spelled Monvment for aesthetic purposes). Before getting into the music, I need to talk about the amazing packaging and effort put into this release. Noah Coleman hand-measured and cut high-quality black construction paper O-cards, then printed a smaller O-card (the lemniscate-based work you see to the right) on vellum and, you guessed it, hand cut and measured that as well. 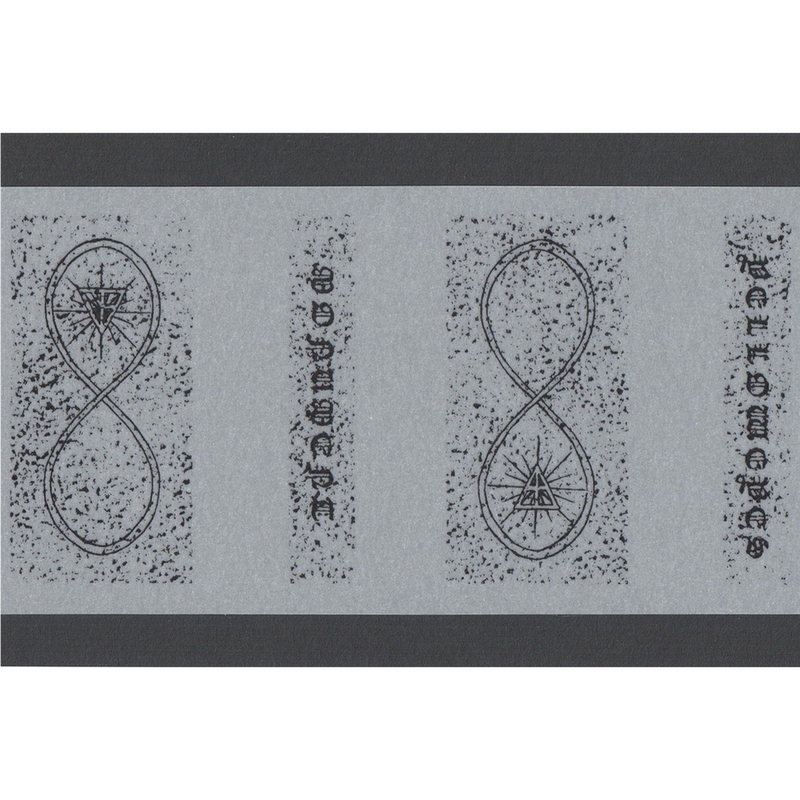 The cassette itself, which is pro-dubbed and on-shell printed, is housed in a soft polycase (fancy) with an insert, featuring both bands' logos and band photos. Our friend at YITMS was kind enough to take a photo so you can see the packaging in all its glory. It really is something. I'm surprised I haven't written about Yellow Eyes yet. I mean, these guys are the perfect middle ground between the early 90s school of miserable, loathsome black metal and the new, Krallice-championed "Brooklyn" school about which we've all read so much (and in big publications, no less). Unlike the almost-happy sounds found on their demo, Yellow Eyes have really brought the mood down with these two new tracks, concentrating on even darker tones than before, and with excellent results. A raging wall of melodic emotion, wandering into the modern, "open" compositional style of Paul Hindemith and non-Rites of Spring Stravinsky, Yellow Eyes is not so much a black metal band as it is a statement on how to effectively push extreme music forward without the air of pretentiousness most others in this style seem to carry. Monument's side is a different kind of monster. I mentioned that Yellow Eyes's contributions were dark, but their misery is nothing compared to the self-destructive atmosphere's found within these two tracks, which happen to be the first new Monument tracks in almost two years. 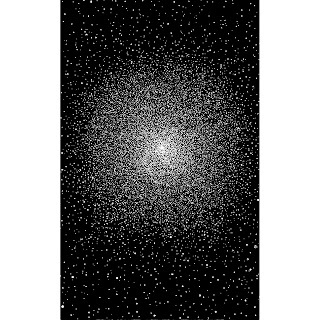 While previous efforts garnered comparisons to Leviathan and Lurker of Chalice, Coleman's lo-fi, claustrophobic sounds are filled with an indescribable, melancholic rage. Is it self-loathing? Madness? It is hard to tell, but Coleman's gurgling croak seems to point to the latter. If, like me, you prefer your black metal to be big, murky, and grating, Monument is definitely worth your time. An excellent return with lots of promise for future releases, but not the future itself. Both of these releases, as well as the rest of the Sol y Nieve discography, is available for free via their Bandcamp. Additionally, it pains me to say that both of these releases are still available in physical format. How is that even possible? Shame on you. Shame shame shame. Support great art. Hi, The Elitist from YTiMS here! First, thank you for the mention, I appreciate it! Second, you've got some great taste in music! Third, I didn't taken the picture of the Yellow Eyes/Monvemnt split, I merely snagged it from Yellow Eyes' bandcamp page. I don't feel right about getting credit for a picture I didn't take. Anyway, if you liked Yellow Eyes, check out the German band Schattenvald, they are some great lo-fi black metal!